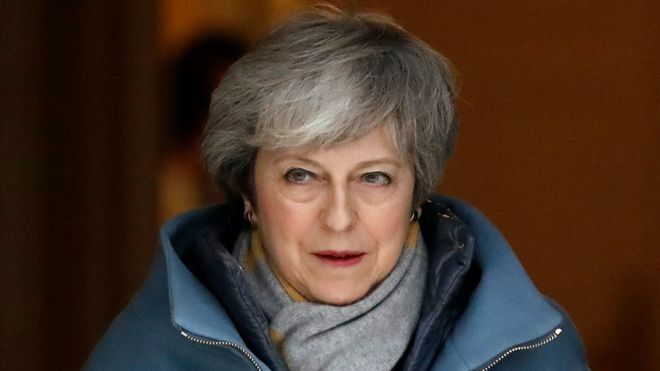 The UK is in crisis, Downing Street has admitted after the Commons Speaker blocked a third vote on Theresa May’s Brexit deal. The Prime Minister’s official spokesman told journalists that Mrs May had warned MPs ahead of the second vote on her deal that the UK would be plunged into crisis if they failed to back it, adding: “That has come to pass”. At a meeting of her cabinet this morning, Mrs May set out both options: a long extension of anywhere from nine to 21 months, or a short extension until no later than June, if the government somehow manages to pass its deal next week. Reports suggested the Prime Minister did not state a preference to cabinet, a government source denied this. Mrs May’s spokesman said she voiced her “absolute determination” that MPs should have another chance to vote on her Brexit deal, despite the bombshell intervention of the Commons Speaker. But the meeting is said to have descended into a row, with the Leader of the Commons, Andrea Leadsom accusing colleagues of failing to deliver Brexit. John Bercow provoked uproar at Westminster on Monday when he ruled that the Government could not bring the Prime Minister’s deal back for a third “meaningful vote” unless there were substantial changes.